General Admission access to festival grounds, vendor village and main stage lawn area. Includes access to festival grounds, vendor village and festival stages plus open seating inside of our Reserved Section. 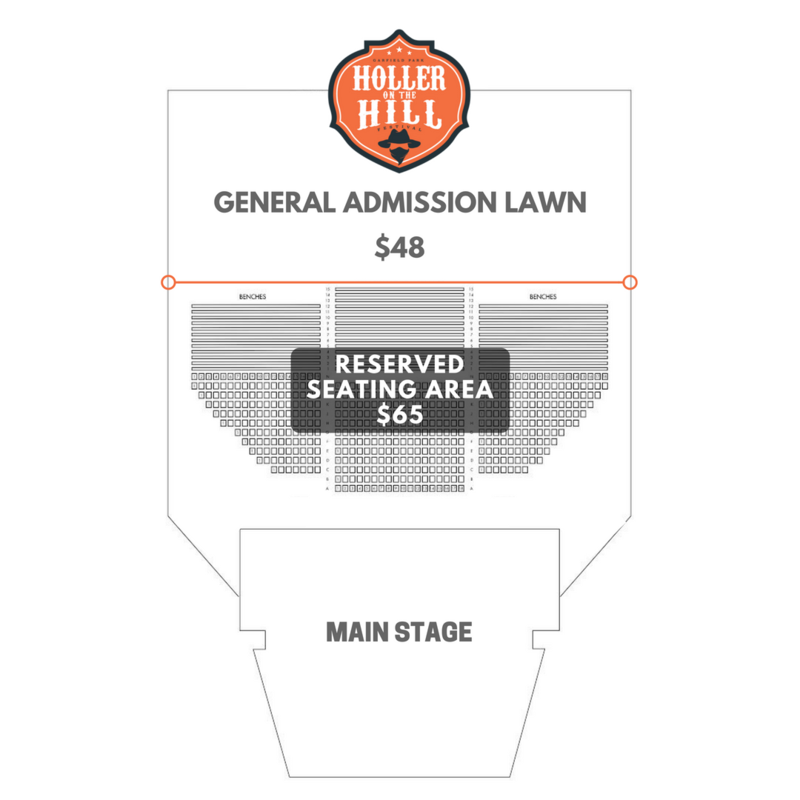 Reserved section is located directly in front of the main stage. These are the best seats in the house. Within this section, you are free to choose your seat. Locations are not assigned, but if you purchase this ticket type you are guaranteed a seat.